I love the Scotiabank’s tagline “You’re Richer than You Think.” If an individual or company takes time to reassess its priorities, expenses, and plans you can always find a way to be more efficient and profitable. Sometime the results can really surprise you. 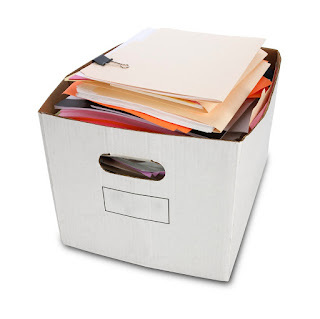 During the 32 years that I’ve been in the credit and collection industry I have learned that every credit manager or business owner has an “ugly file box” tucked under his/her desk of customer issues that should be dealt with. I have an ugly file box! Each piece of paper that ends up in this box is either a customer services issue that should be addressed, a finance concern (usually your own), or a business idea that you are saving to investigate when you have some time. You know where your “box” is. You are probably grimacing right now just thinking about it. Unfortunately nothing good can come from ignoring your box. Service issues fester, reputations suffer, and opportunities get missed. As an employer, I appreciate it when my staff wants to discuss the items in their own “ugly file box”. Sure some of the items in the box may feel like they will be harmful to your career; however, in most cases it will only get worse instead of better. If some of these issues are credit and collection related, we recommend having a confidential discussion with the collection service provider of your choice. Your provider is a source of credit and collections expertise. They want you to look good and will provide some ideas and suggestions to deal with the issues at hand. If your “box” issues are business ideas you've been saving to read later, time should be set aside to review and consider these ideas. As you are reading this article, someone in the world is working on a way to disrupt your business or put you out of business altogether. Time needs to be spent working on your business. Several business groups exist to help you work on your company, like TEC or Vistage International. Take action now. Tackle the box. Something good always comes out of this process. You will feel better, your business will run more efficiently, and staff morale will increase. Brad Lohner is a 32 year veteran of the domestic and international credit and collection industry with headquarters in Edmonton and a branch office in Ann Arbor, Michigan.